So, getting on with the post! There is absolutely no surprise as to what I used to whiten my teeth as I think everyone and their dog has used these. TA DAAa- how surprised are you? Come on, I know there was a little gasp somewhere. 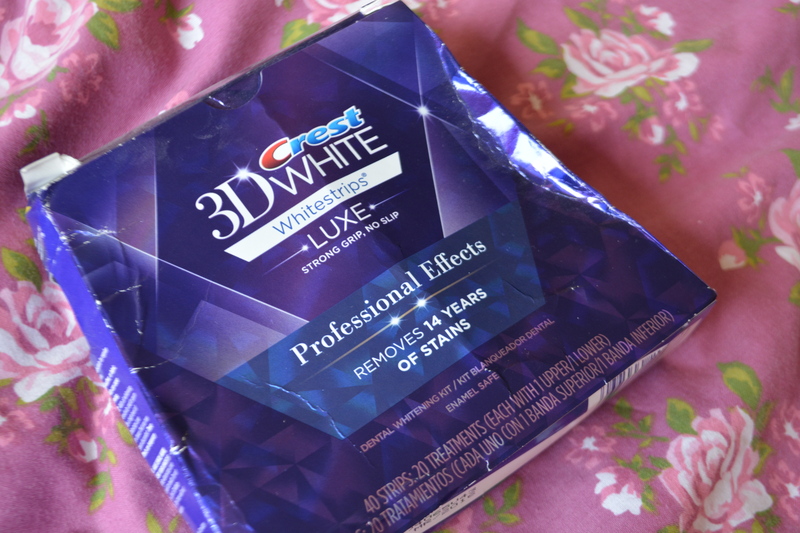 As you can see these are the crest 3D white luxe professional effects whitening strips. That was a mouthful and a half. I chose these ones as they remove 14 years of stains and me being 18 next week, that’s like three quarters of my life. and in case you couldn’t tell- I have a couple scars on my teeth from when I was a baby and I fell over and my teeth went through my bottom lip, yep. The box arrived a little battered because it had travelled from America but the contents of it were fine so I’m not too bothered. You get 20 sets of strips in total and as you can tell I have “used” 14. I use the term used kind of loosely because the last four times I have done it it has hurt and I have had to remove the strips immediately. Not so good. 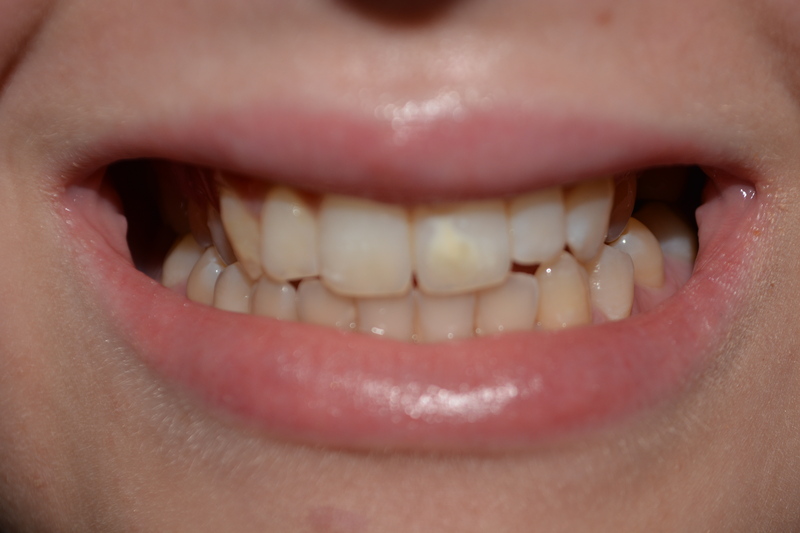 However, I don’t think I have used them in at least 7 months and my teeth have stayed white which is great! You just pop them on the front of your teeth and then fold them underneath. Leave them for half an our before you take them off and then boom you’re done! I wash my mouth out afterwards to get rid of any gel that has stuck to my teeth and then I just carry on with my day. Obviously you cannot eat whilst you’re wearing them but drinking water is fine (and quite refreshing) whilst you have them on. I know that the first one was taken with the flash on because I took it when I got them (my birthday last year) but hey what can you do about it. Also its really difficult to smile and show your top and bottom teeth without looking like a bit of a weirdo. As you can tell my teeth are significantly whiter and my scar on my front tooth is a lot less noticeable than it was (YAY). 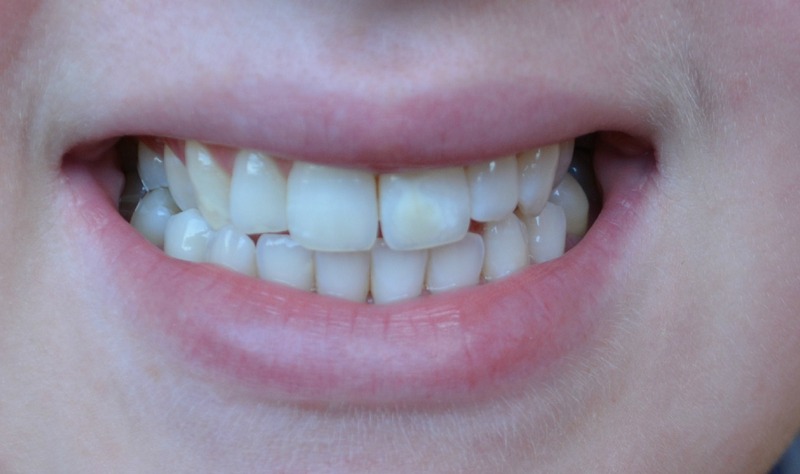 In between my two front teeth is still a little dark but its confusing because its also a little gap so there is always a shadow as well. I do plan on using the rest of the strips but I am just going to use them on the odd occasion as my teeth are naturally really sensitive. Like, watching someone bite ice cream makes me cringe. 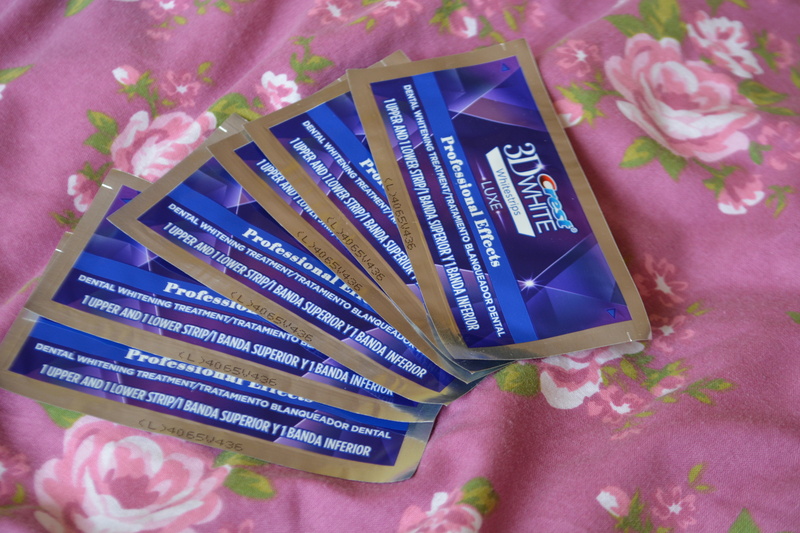 Overall I would give these whitening strips a 7 out of 10- I knocked points off because of the fact that it began to be painful, they taste a bit funny and I think they’re about £50-£60. I know that it is cheap compared to getting your teeth professionally whitened but for that price I want them not to hurt and the box to be well packaged. So that is all for today, Goodbye for now little buns! → My 18th birthday makeup!